With an on-site dog park and pet-friendly amenities, Apartments at Palladian Place welcomes your furry family members. Please contact our office for details and restrictions. Studio | 1 Bath | 791 sq. ft.
Browse the available floor plans now or make an appointment to tour these luxury apartments for yourself! 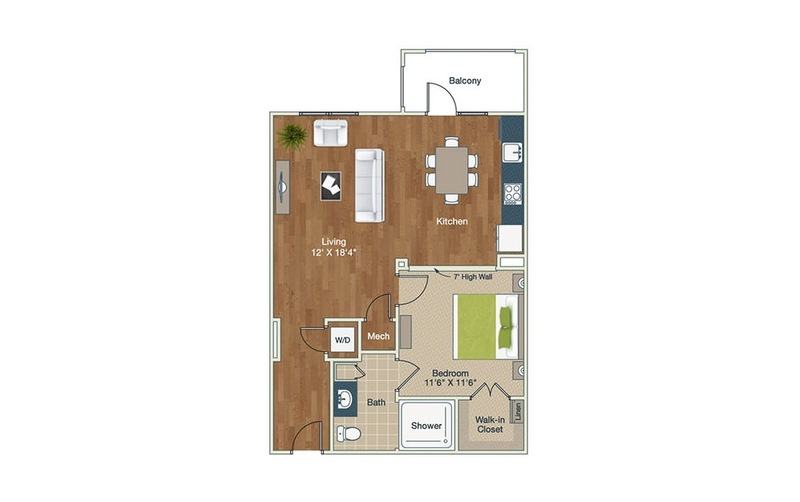 Dimensions and square footage shown are approximate and pricing/availability is subject to change without notice. Listed rates are starting rates and pricing will vary based on selected lease term. © Copyright 2019 Palladian Place.